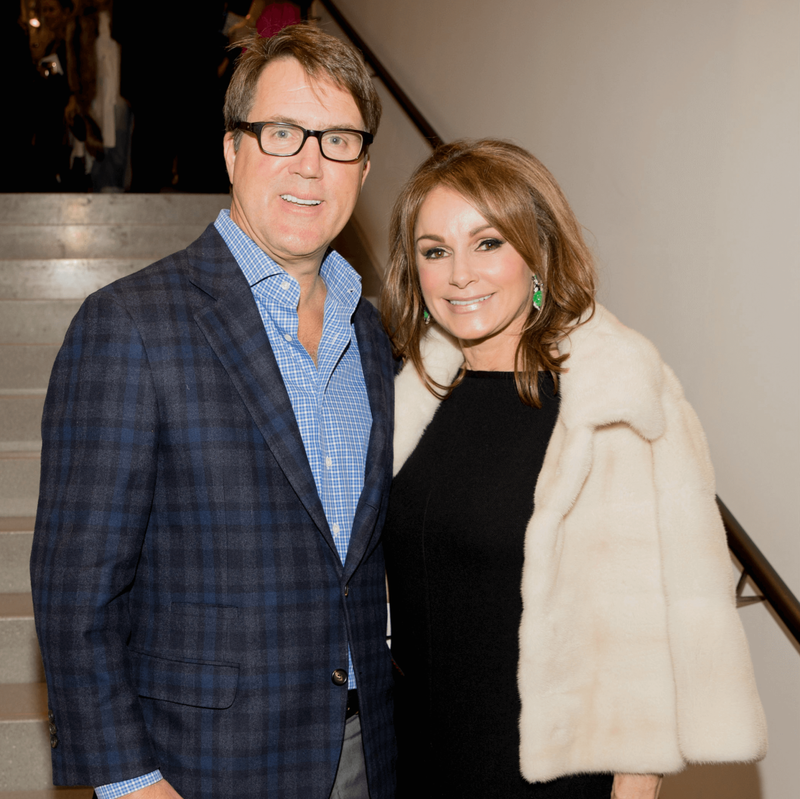 After years of anticipation, Forty Five Ten on Main finally opened in downtown Dallas, so a grand opening party was in order. 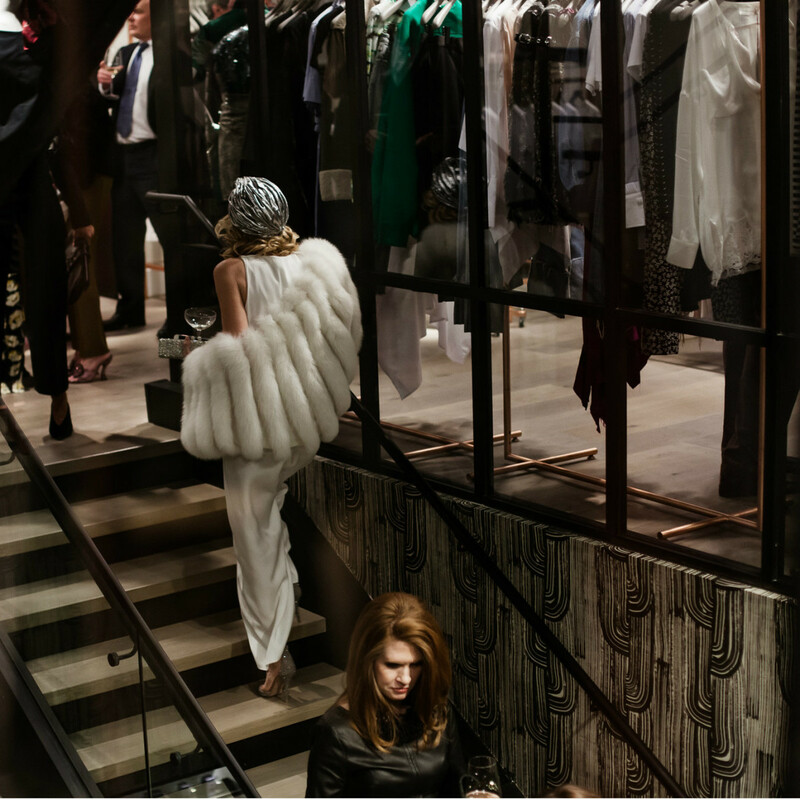 And it was just as seductive, glamorous, and eccentric as we imagined it would be. 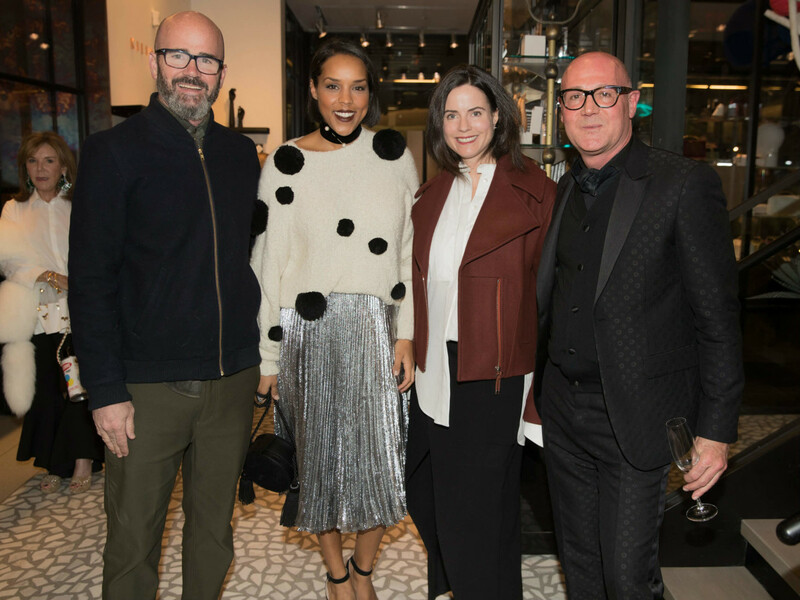 However, we’re not just talking about pin-up darling Dita Von Teese, who rivaled Forty Five Ten co-founder Brian Bolke and The Joule’s Tim Headington for most-sought after face of the evening. 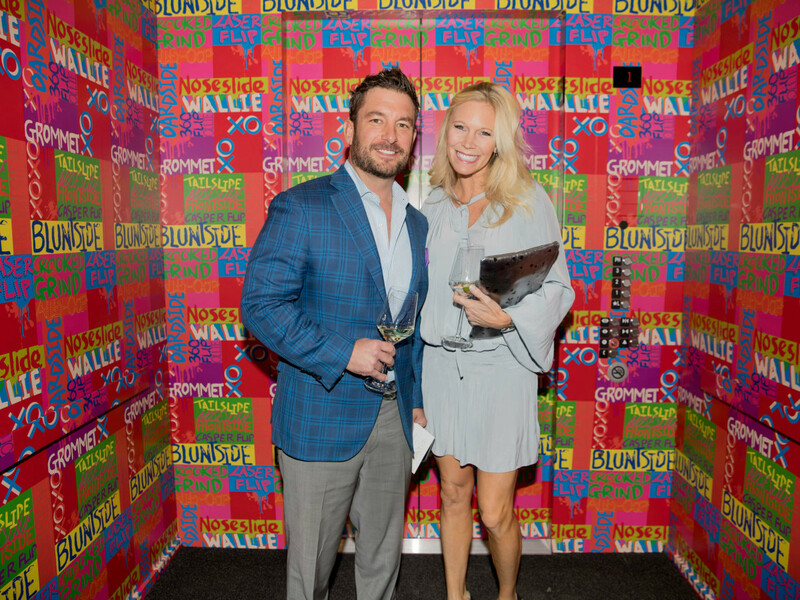 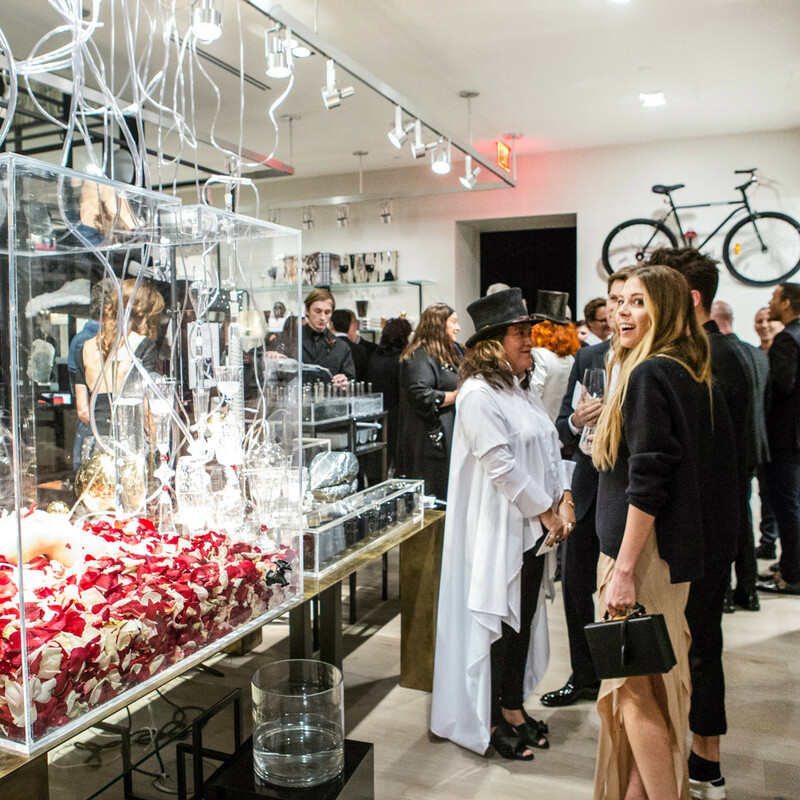 Appropriately themed “The Eccentrics,” Forty Five Ten on Main’s introductory soiree was one for the history books. 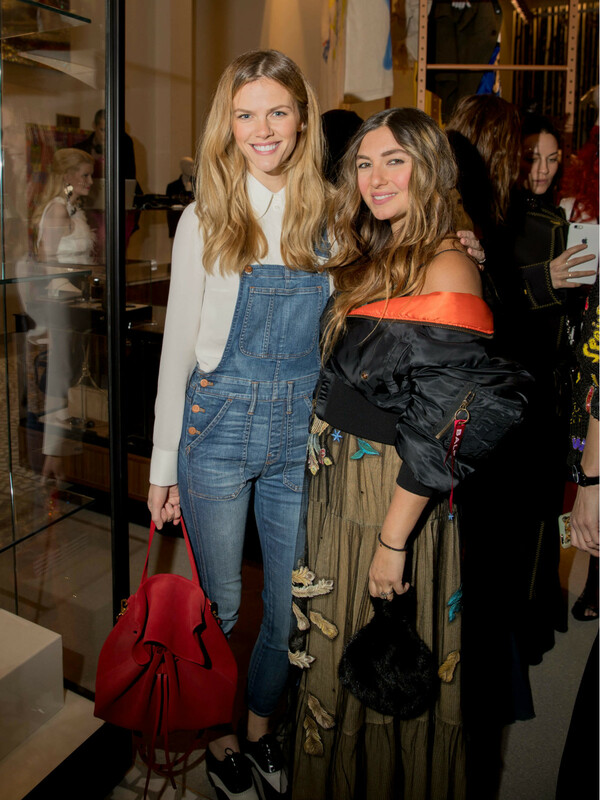 Despite the chilly temperatures, fashion icons and industry leaders Iris Apfel, Ippolita Rostagno, Brooklyn Decker, Erin Wasson, Chandra North, Jack McCollough and Lazaro Hernandez of Proenza Schouler, and blogger Leandra Medine of Man Repeller, traveled from around the globe to attend the event hosted by Bolke and Headington on December 9. 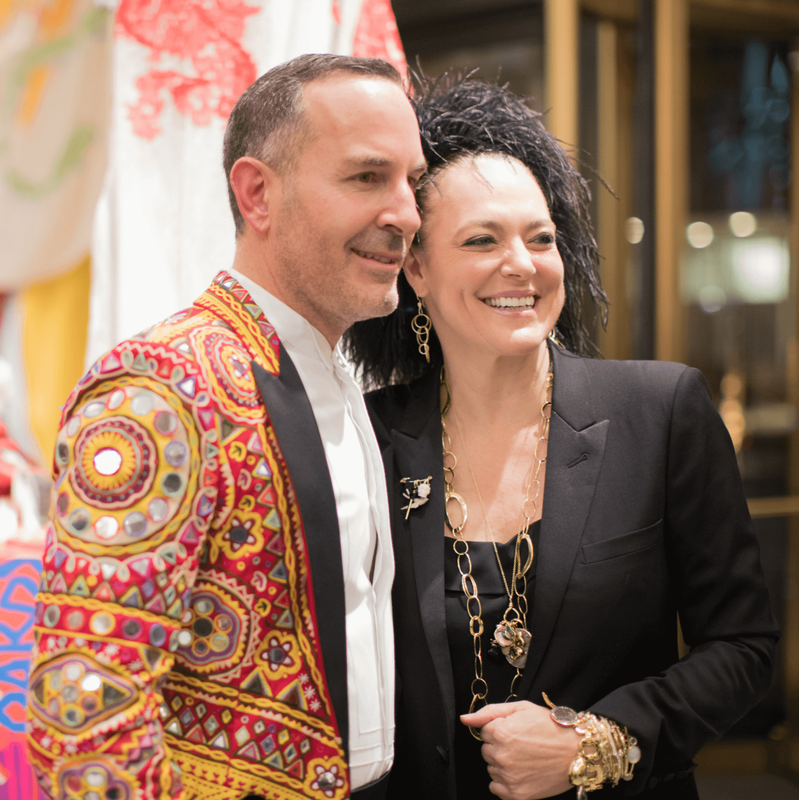 The colorful crowd — including Forty Five Ten fashion directors Taylor Tomasi Hill and Nick Wooster, Ceron, Bradley Agather Means, Jessica Nowitzki, Ken Fulk, and Jennifer and Tom Karol — embraced the whimsical theme, donning everything from beaded blazers and top hats to feathered frocks and full sequined gowns. 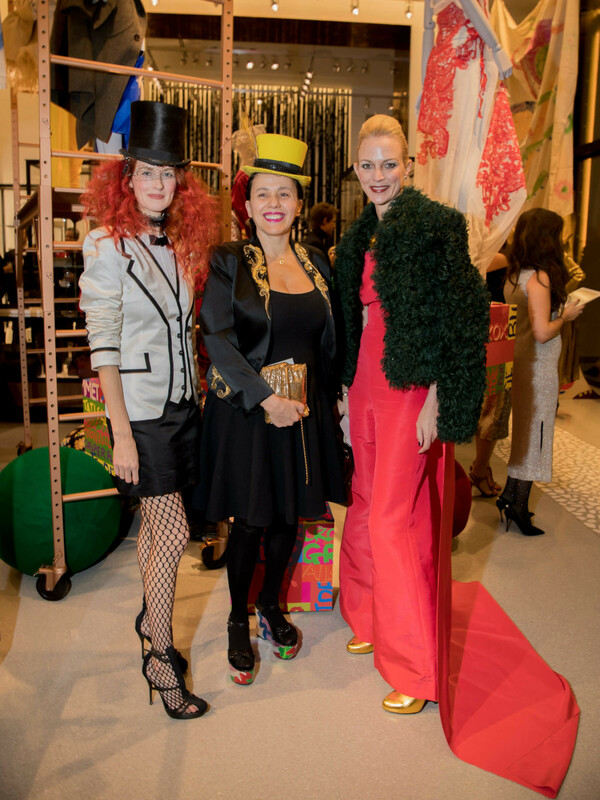 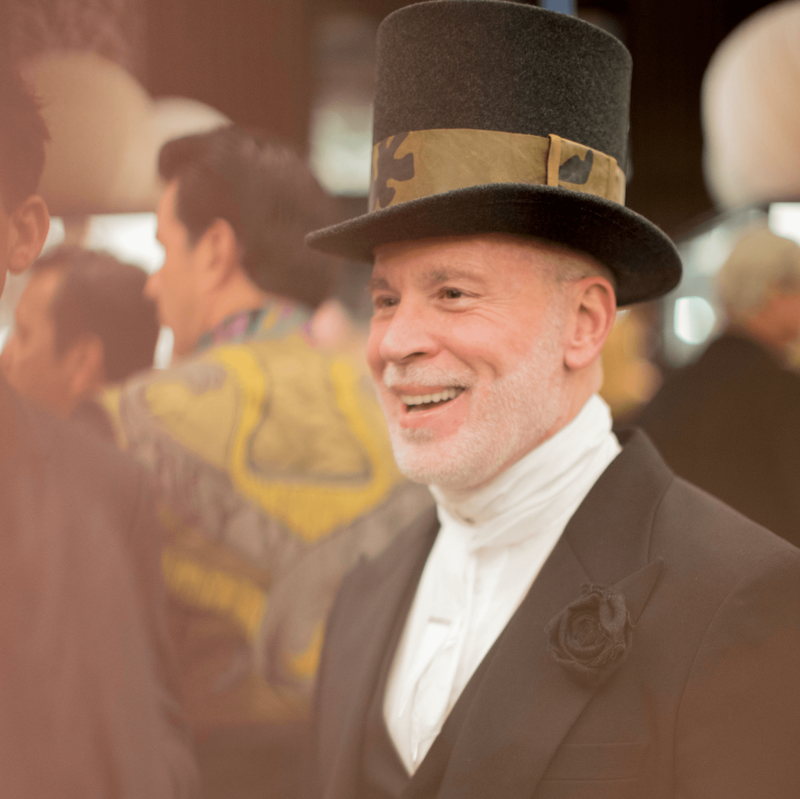 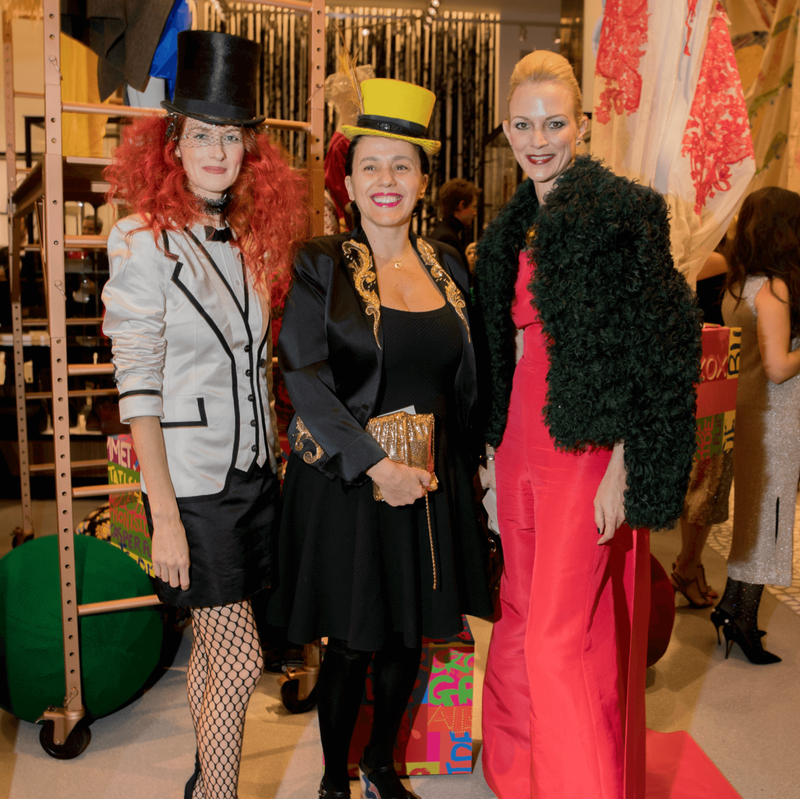 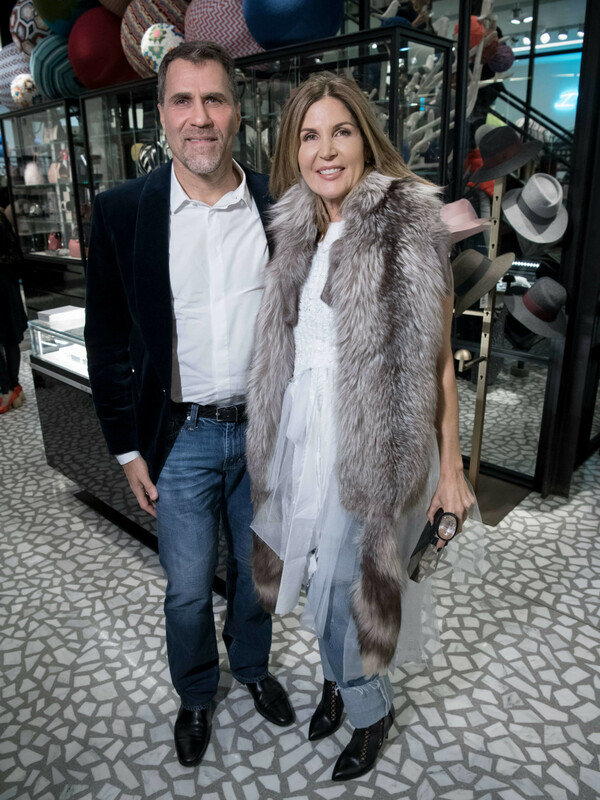 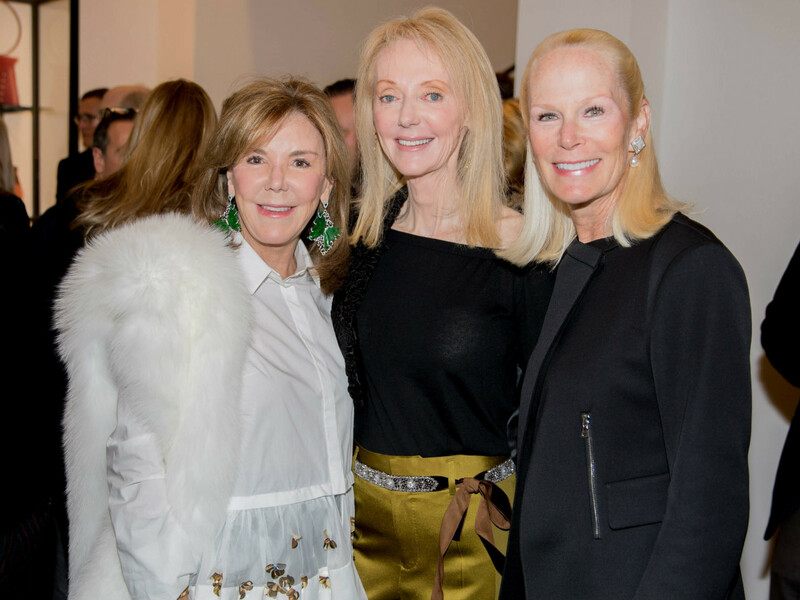 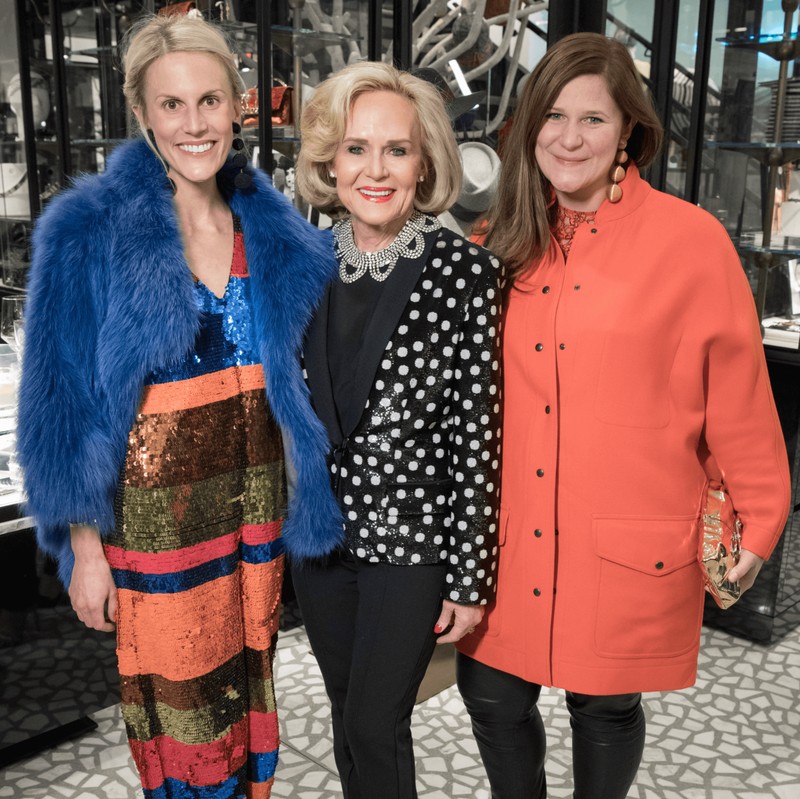 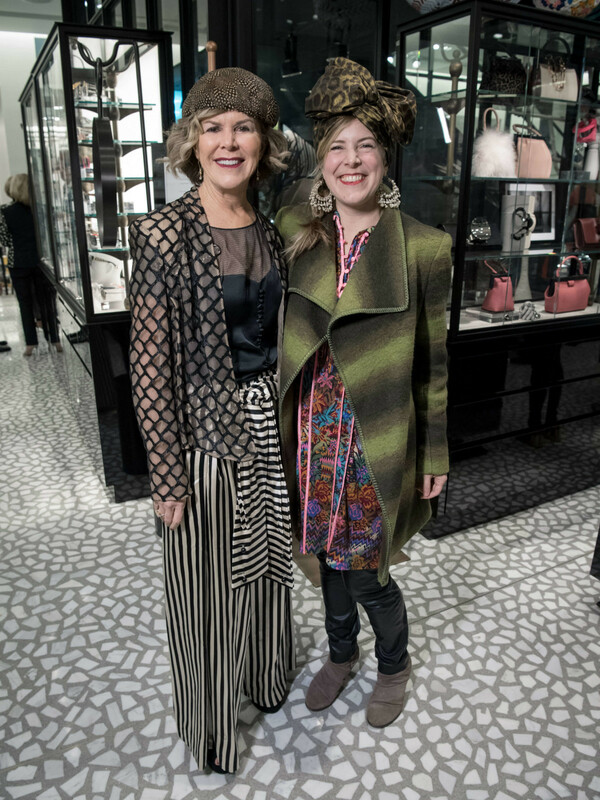 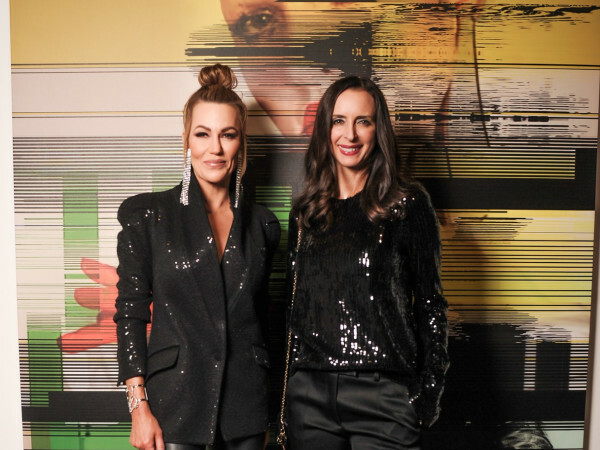 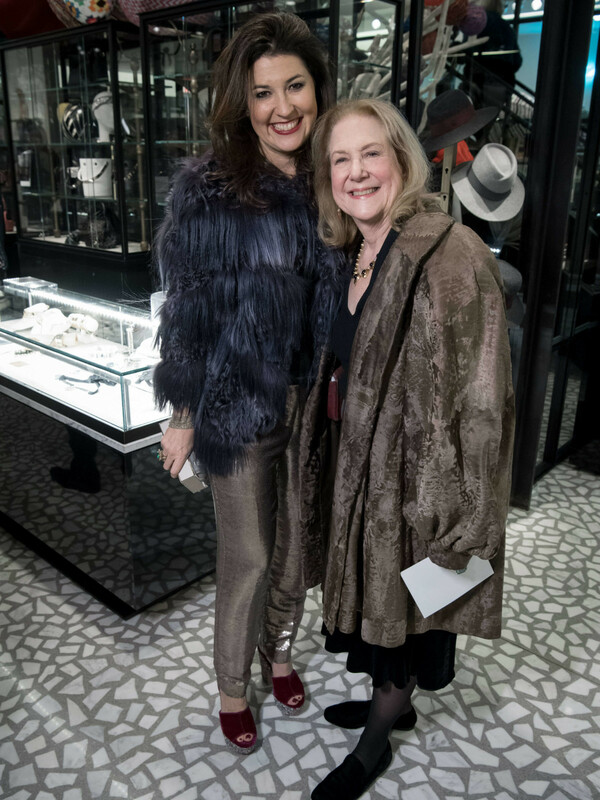 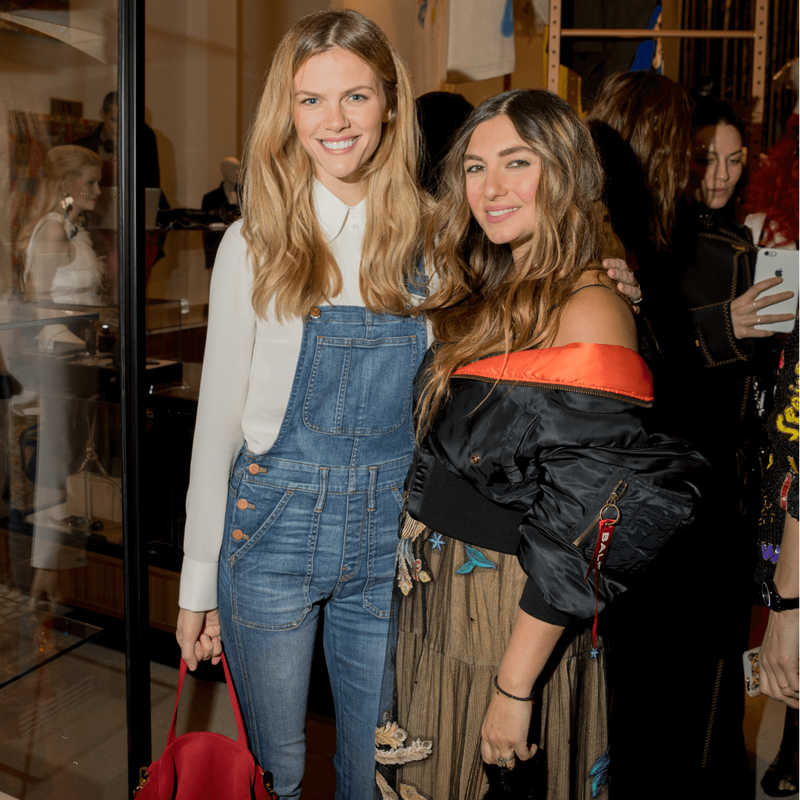 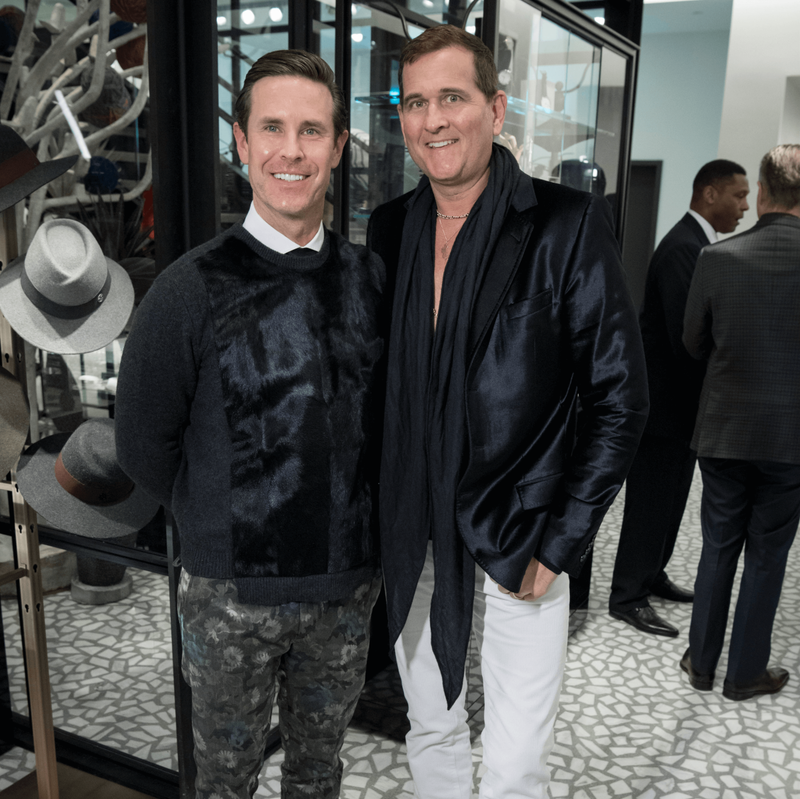 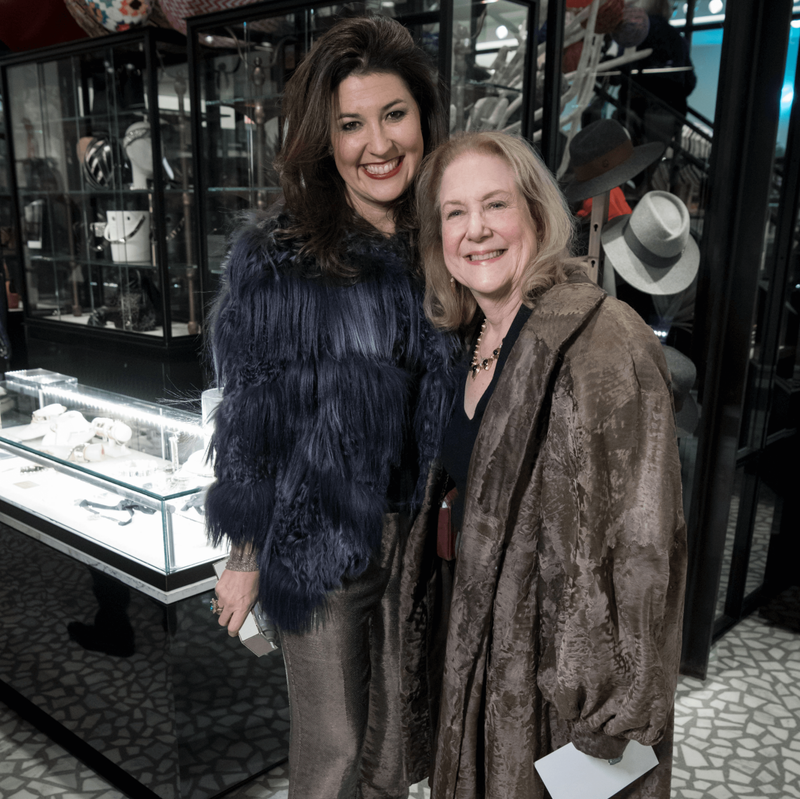 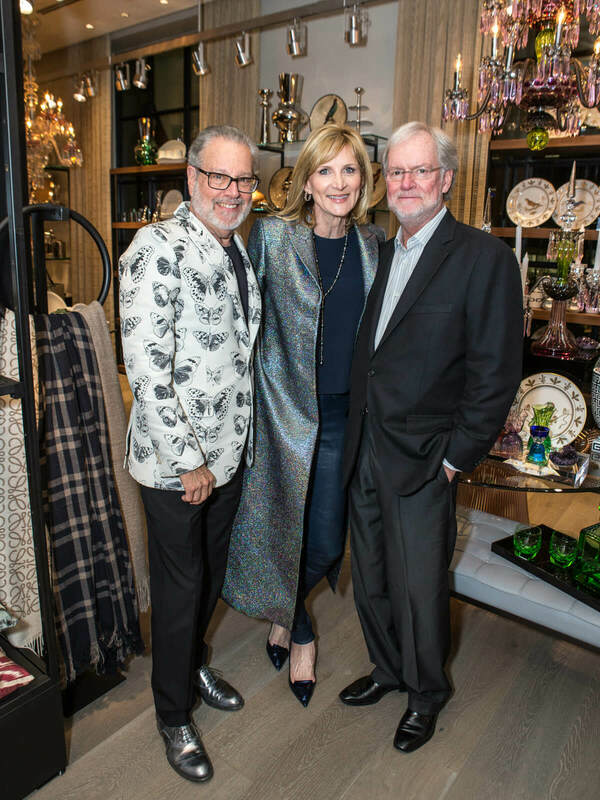 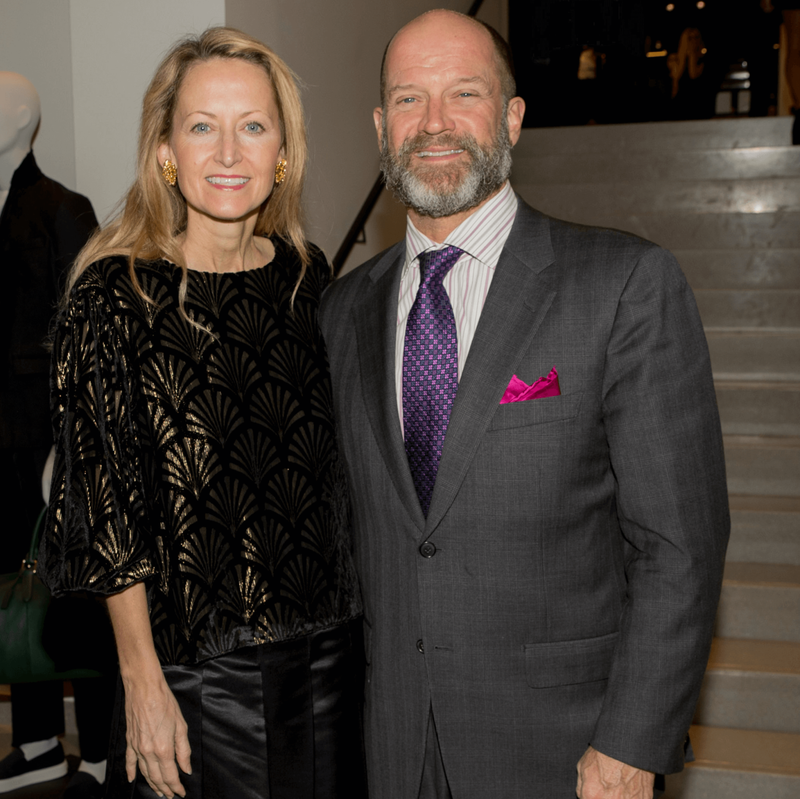 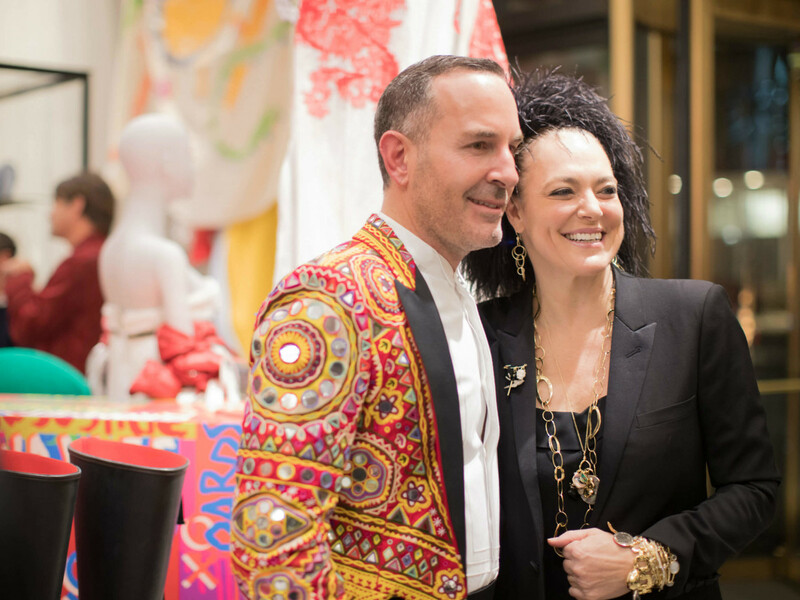 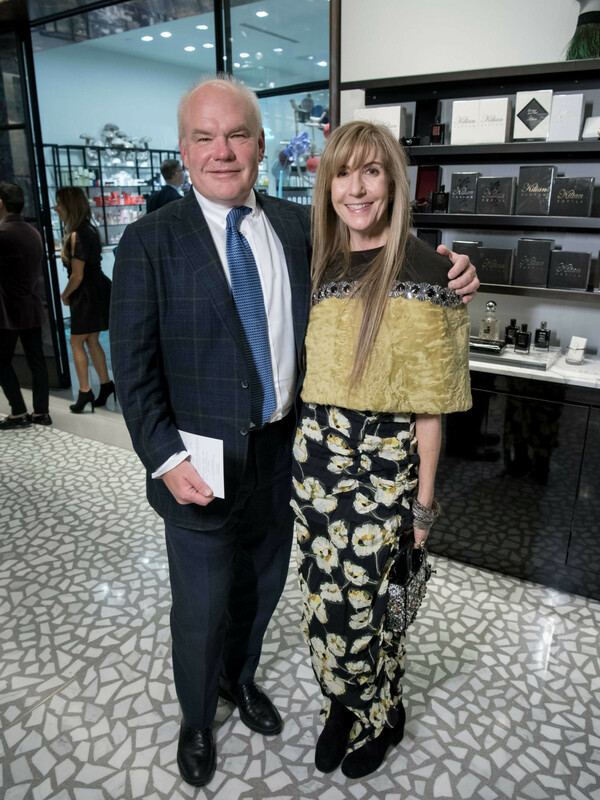 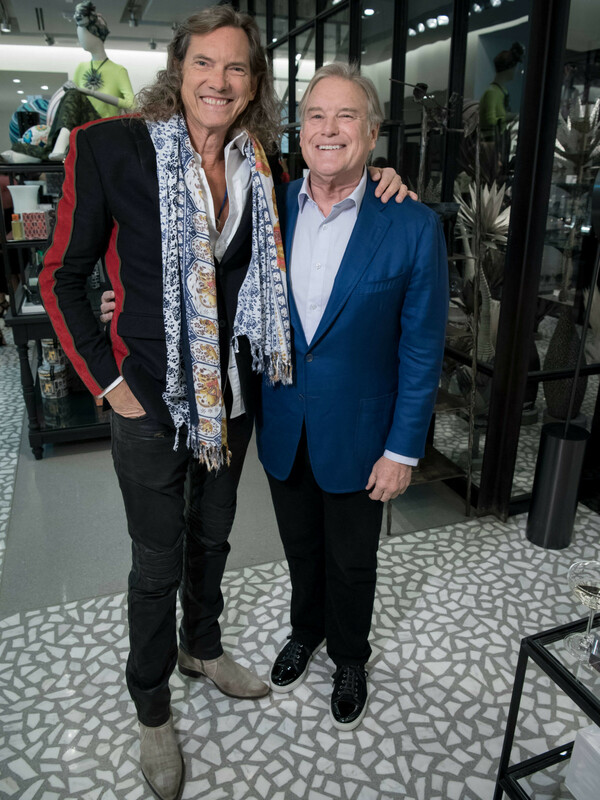 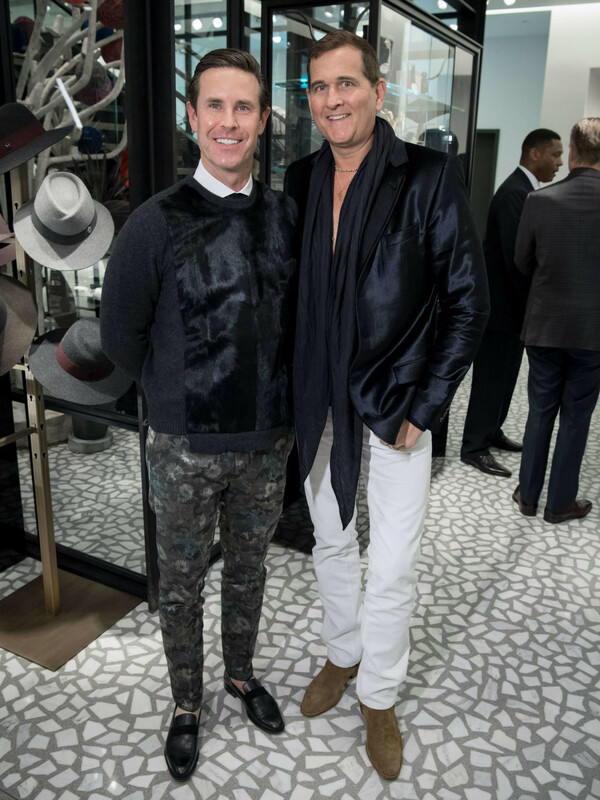 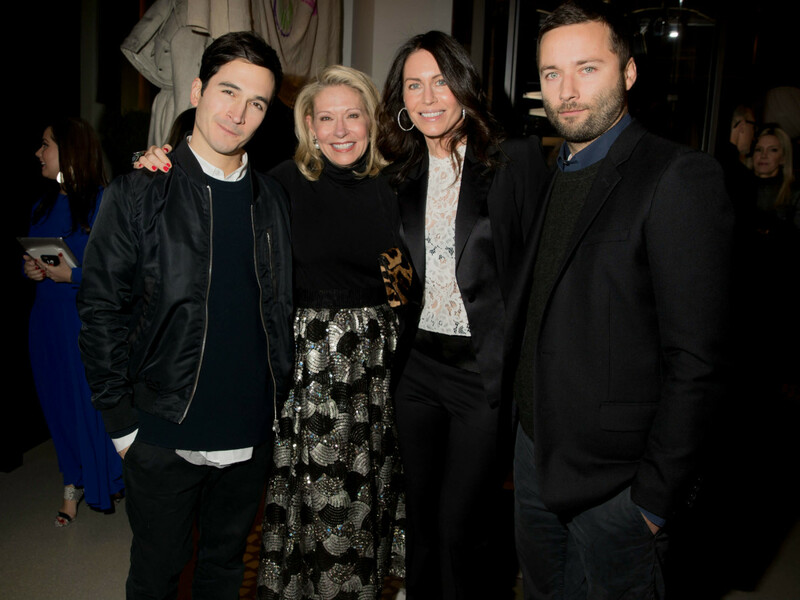 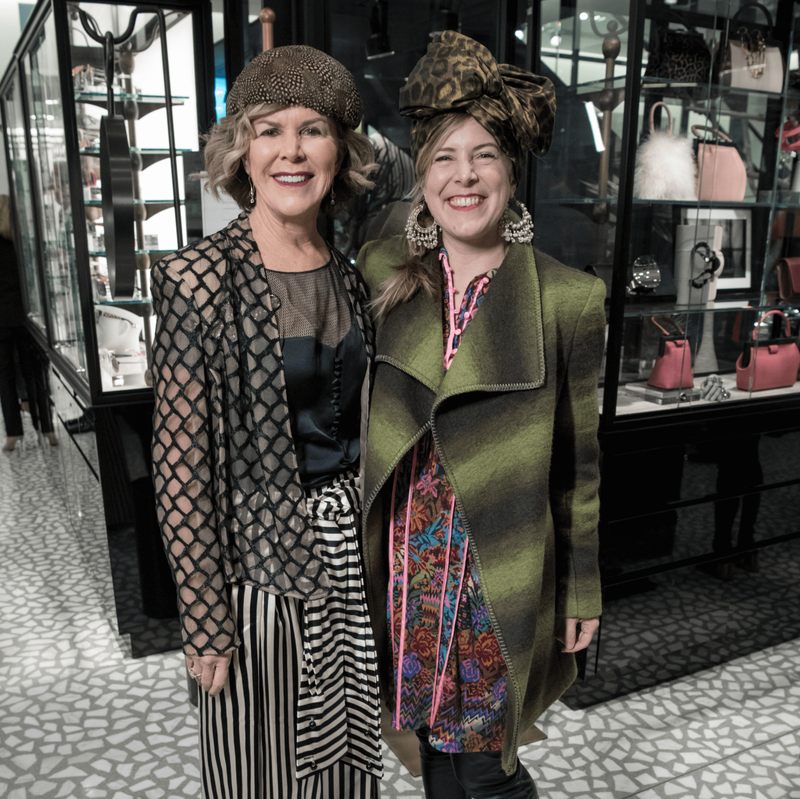 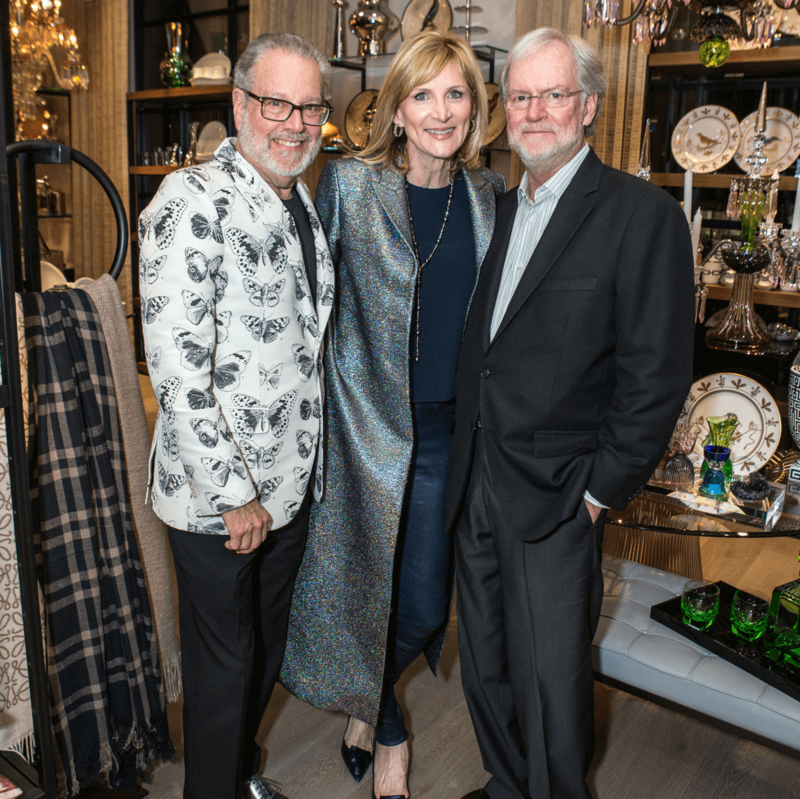 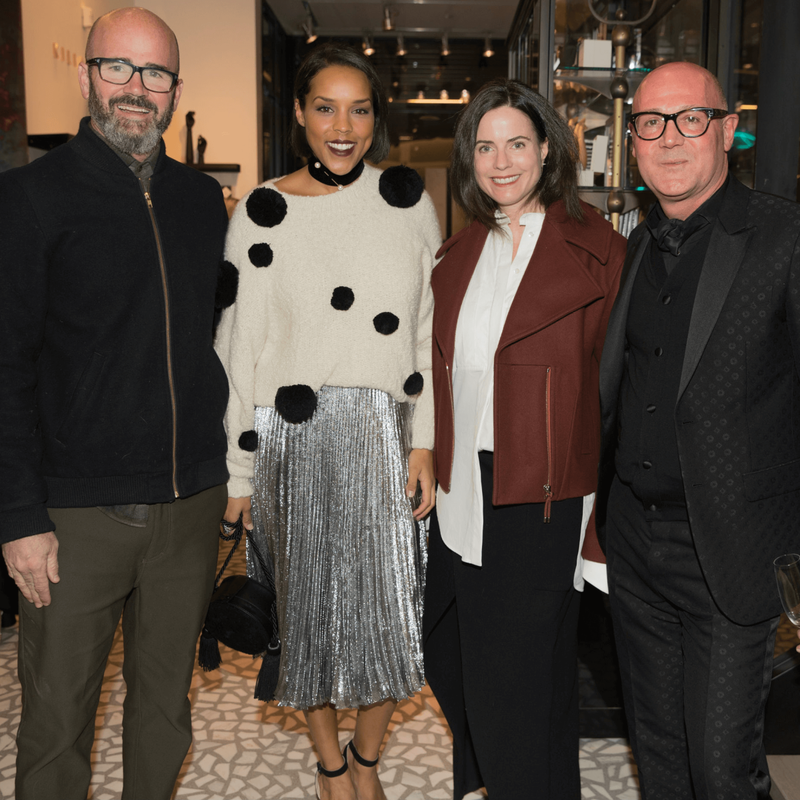 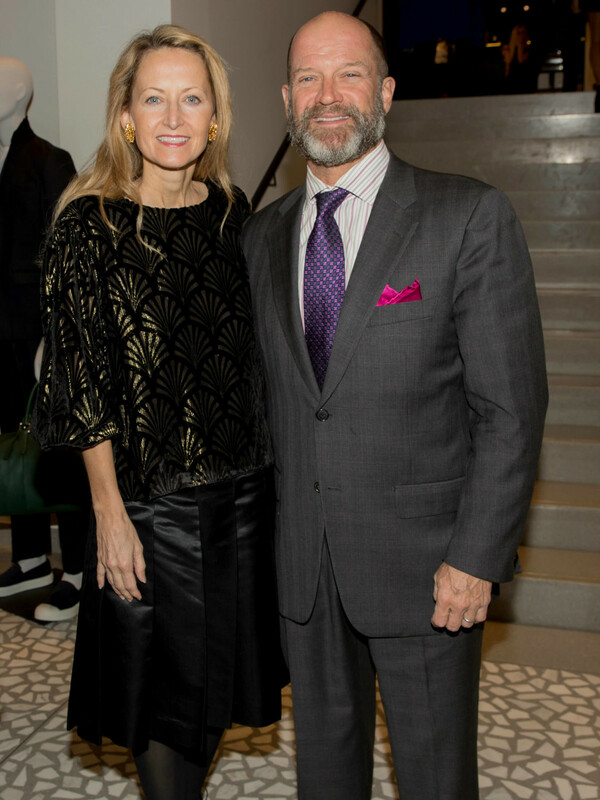 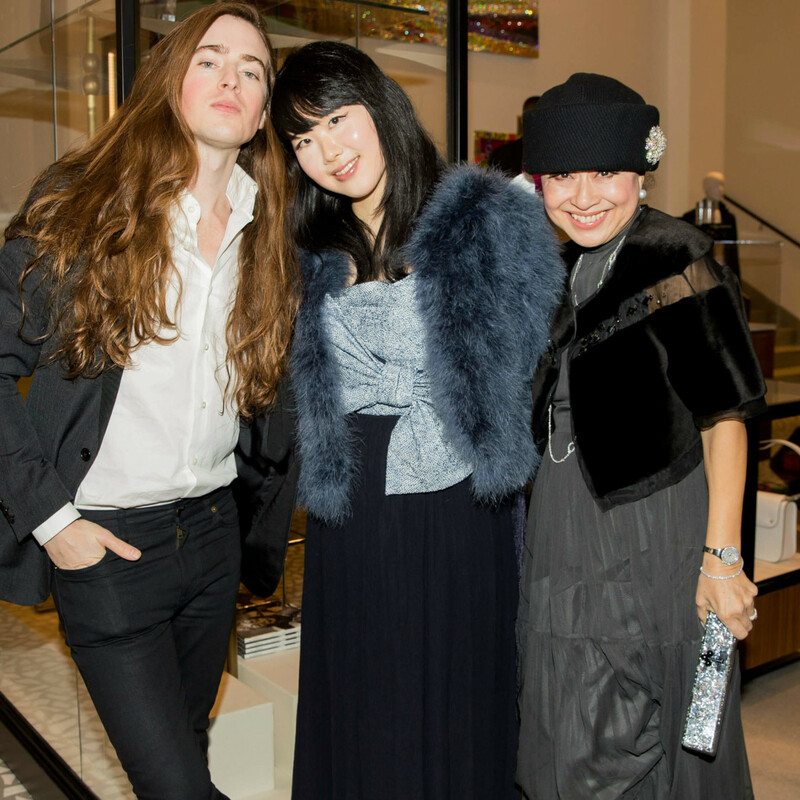 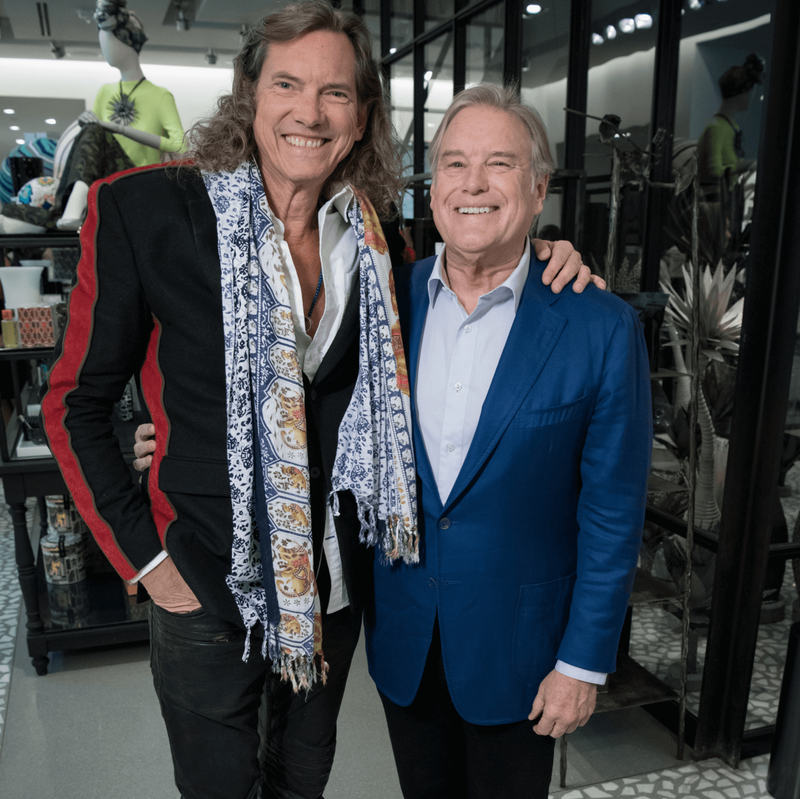 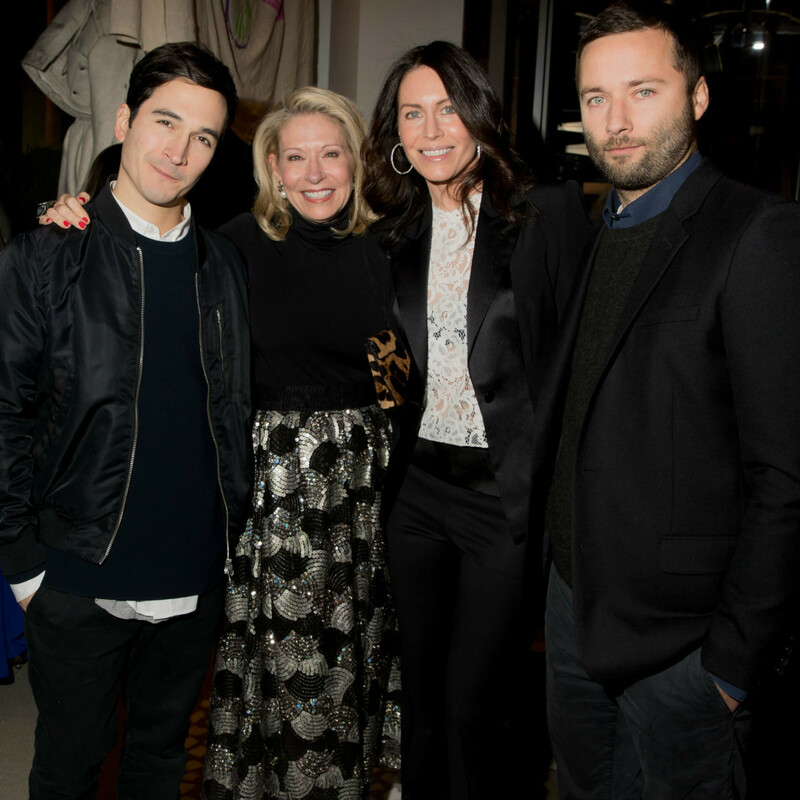 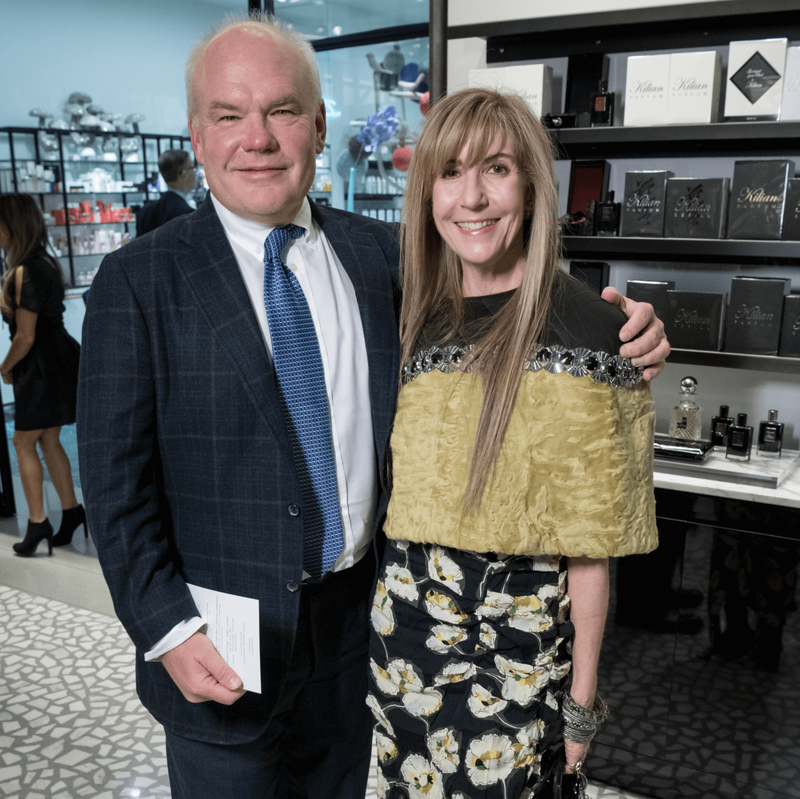 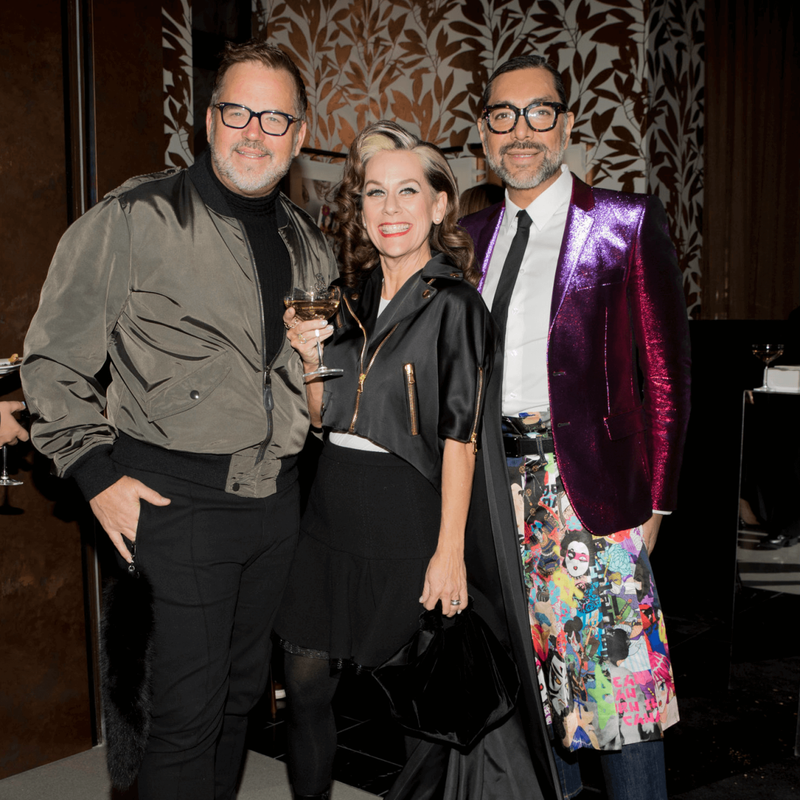 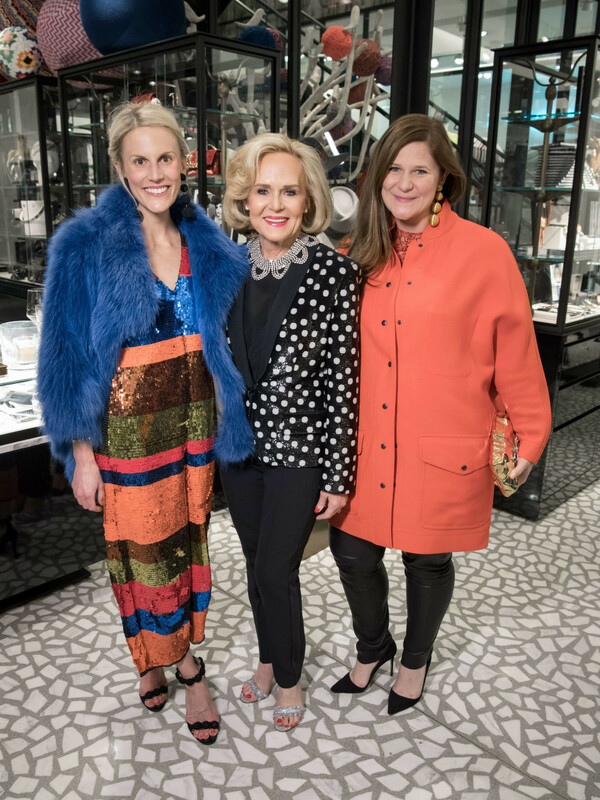 Upon arrival, they were greeted with Dom Pérignon and caviar and encouraged to explore the carefully curated retailer and its four floors of designer ready-to-wear, home décor, beauty essentials, and jewelry. 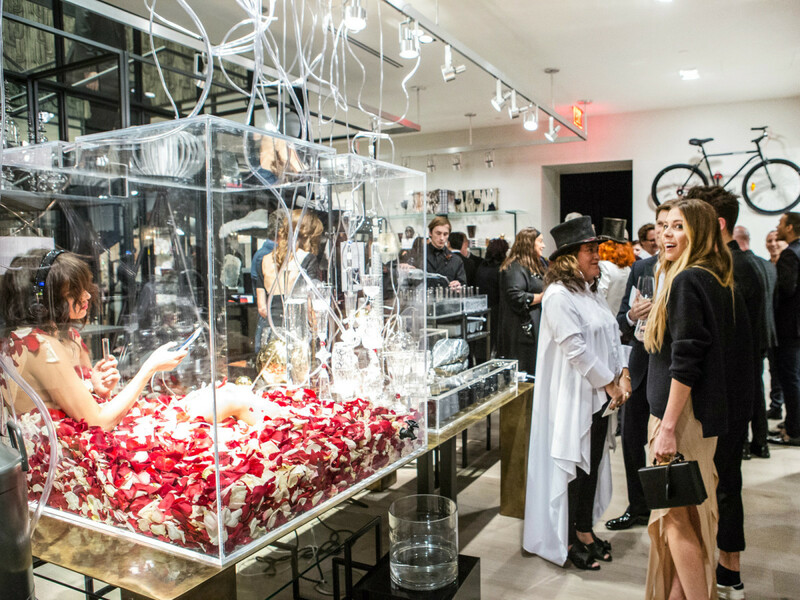 In keeping with the party’s theme, each floor projected its own personality, complemented by the store’s unique offerings. 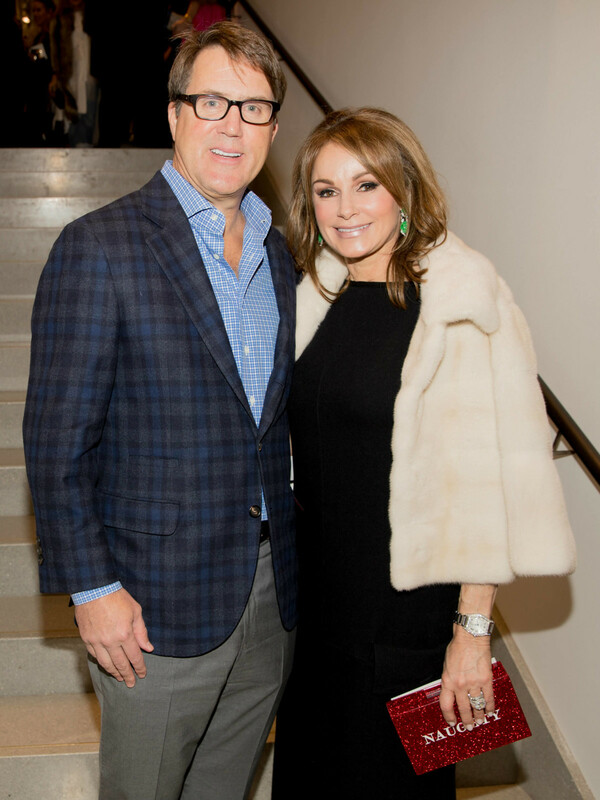 The brave souls who climbed the staircase to the second floor enjoyed Middle Eastern fare like baklava and tandoori pop tarts. 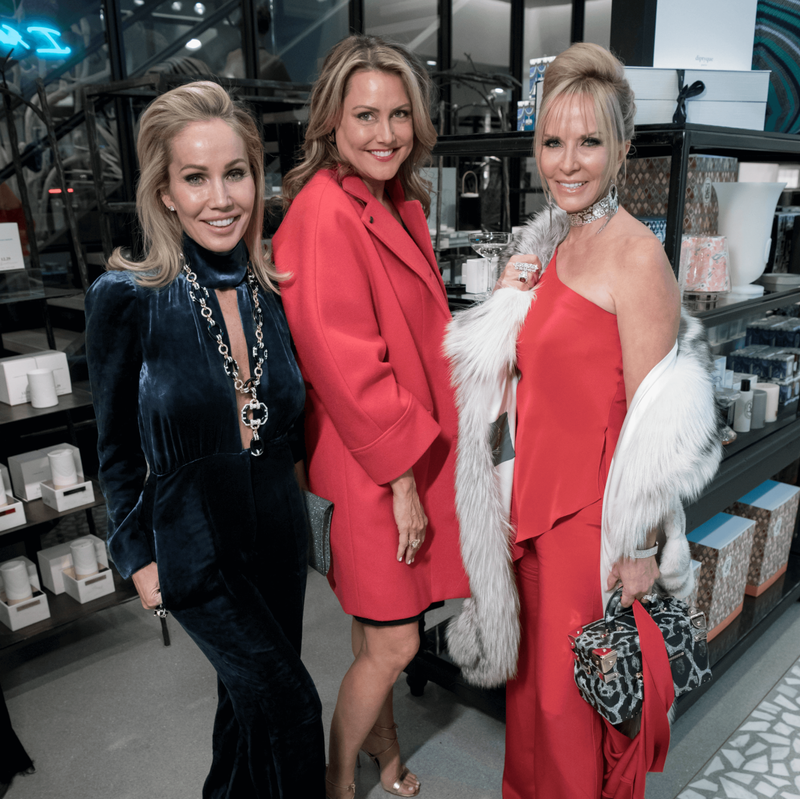 Others opted for a short elevator ride to the third floor and were delighted by drinkable perfumes — a cocktail laboratory concocted by perfumer Douglas Little, who created custom-infused glasses of Belvedere Vodka inspired by his signature fragrances. 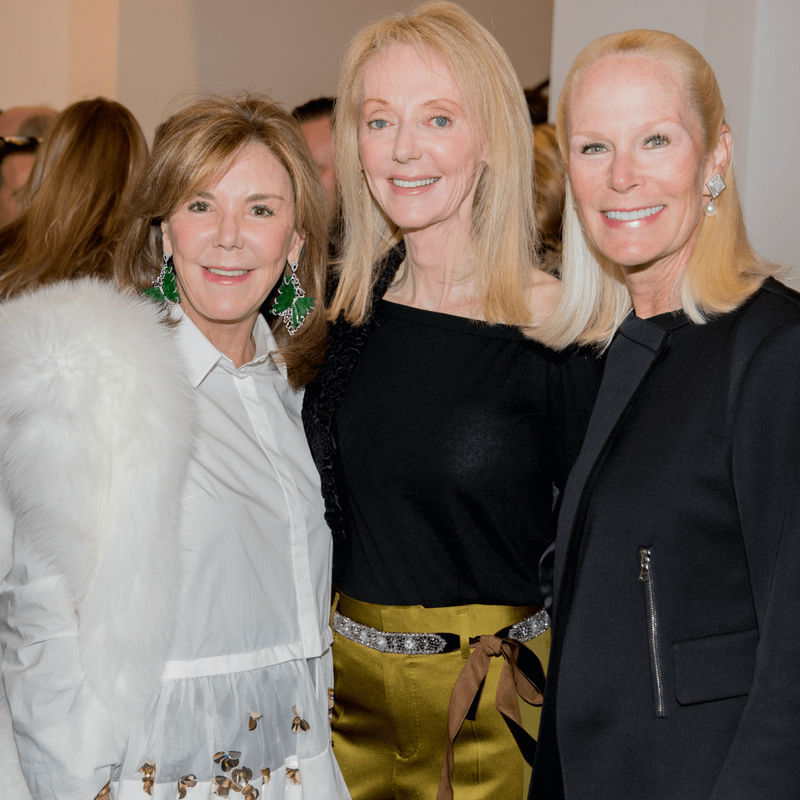 The intimate fourth-story-turned-lounge was all abuzz, with star-struck fashionistas vying for photos with style icon Apfel — who, at 95 years old, still has it and then some. 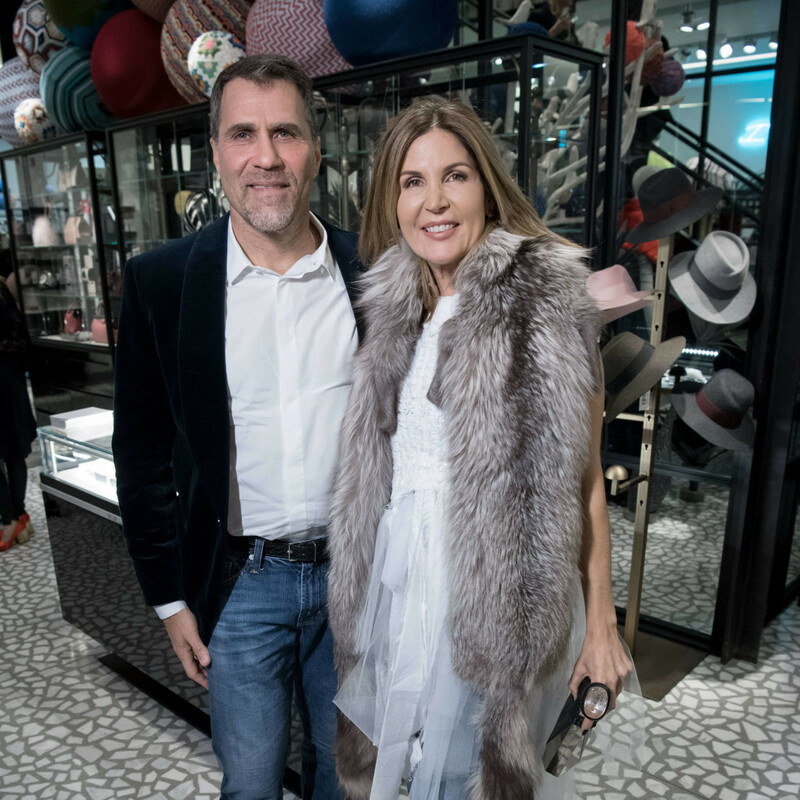 Mirador, a new restaurant concept operated by The Joule, soon will take over this cozy space. 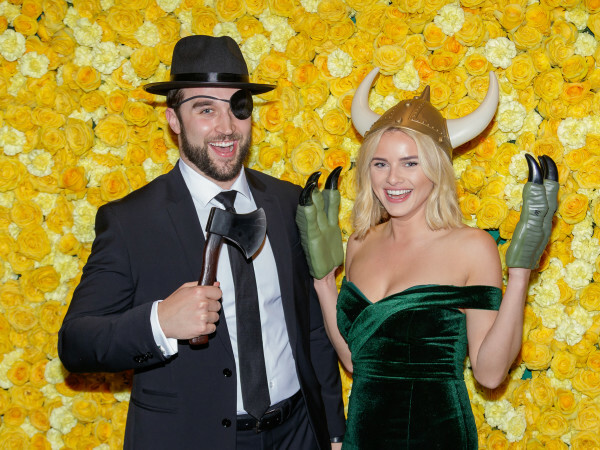 Junior Borges, the hotel’s executive chef, catered all the party cuisine, including two raw bars complete with sushi rolls, sashimi, lobster rolls, and broiled shrimp. 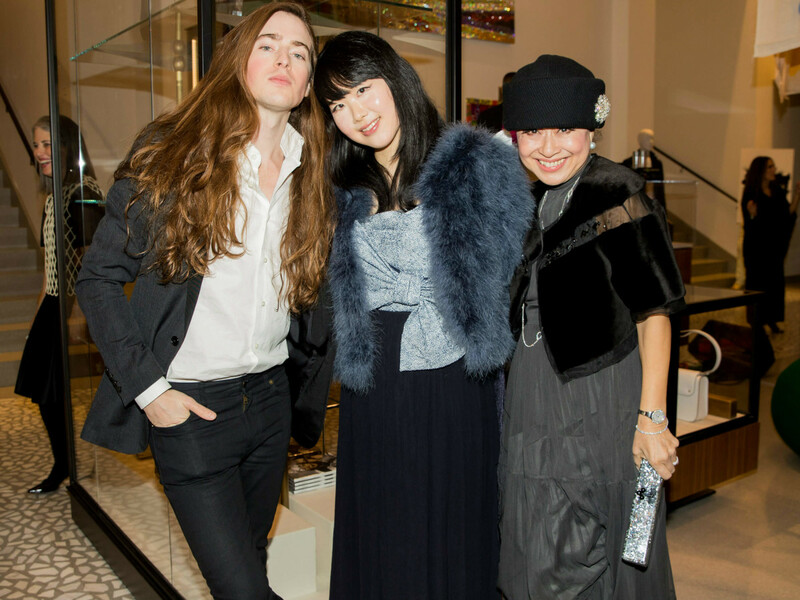 Sake kept everyone warm as guests made their way to the outdoor terrace for a glimpse of the downtown city lights. 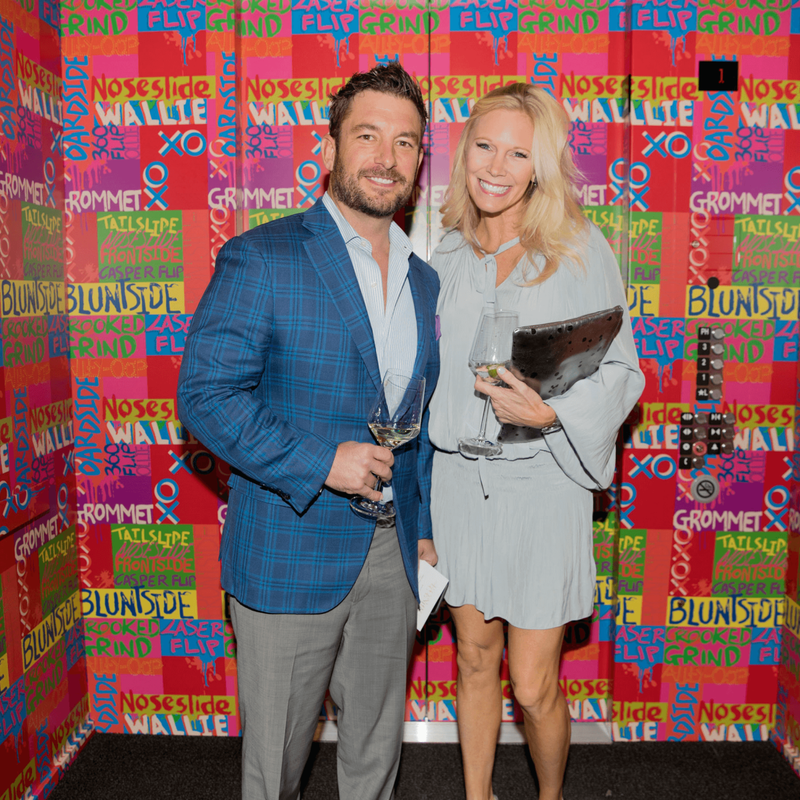 Shortly after 10 pm, partygoers grabbed their coats and hurried across Main Street for After Eccentrics — the official after party hosted at The Terrace at The Joule. 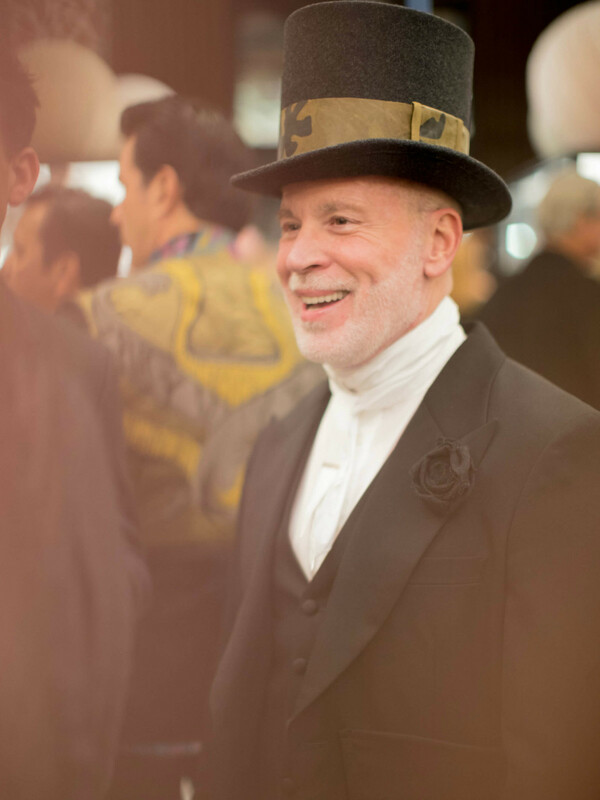 Lines formed at the bars as the crowd anxiously waited for lady of the hour Dita Von Teese to make her debut. 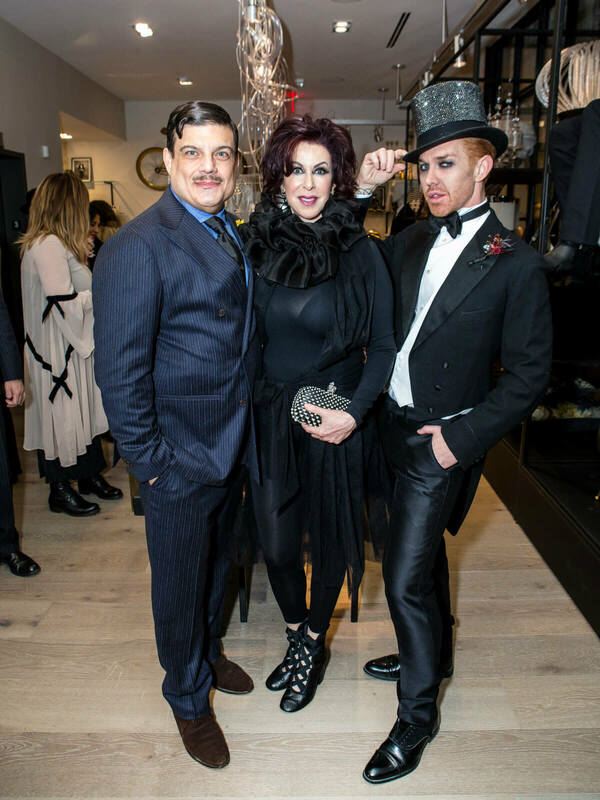 A show-stopping performance by the queen of burlesque was met with a standing ovation. 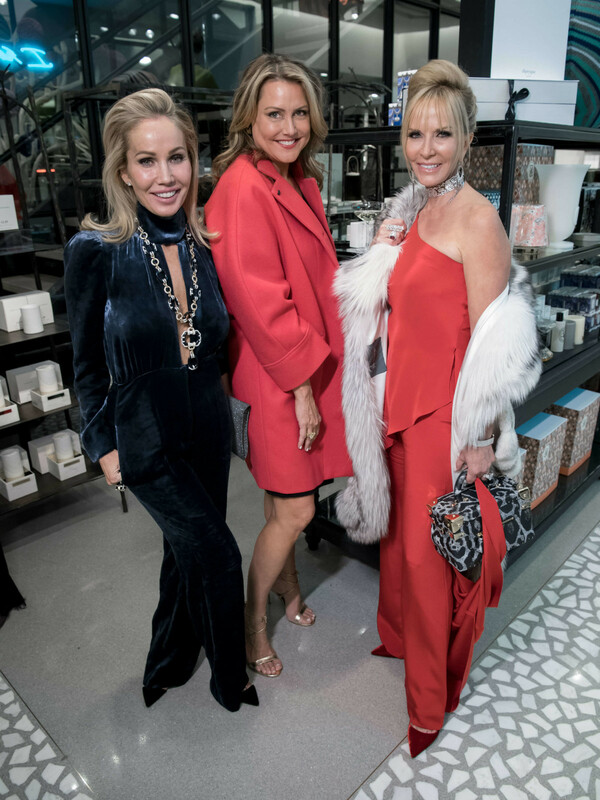 Moments later, she appeared in a stunning red gown and greeted her fans as DJ Lucy Wrubel spun her famous tunes. 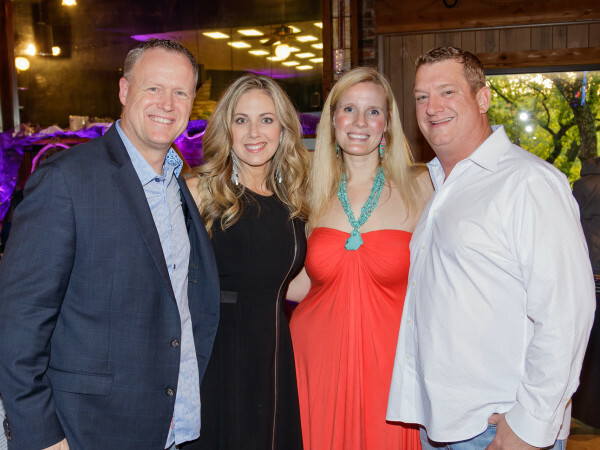 Gourmet pizzas, courtesy of Americano, were passed around to keep everyone fueled for dancing. 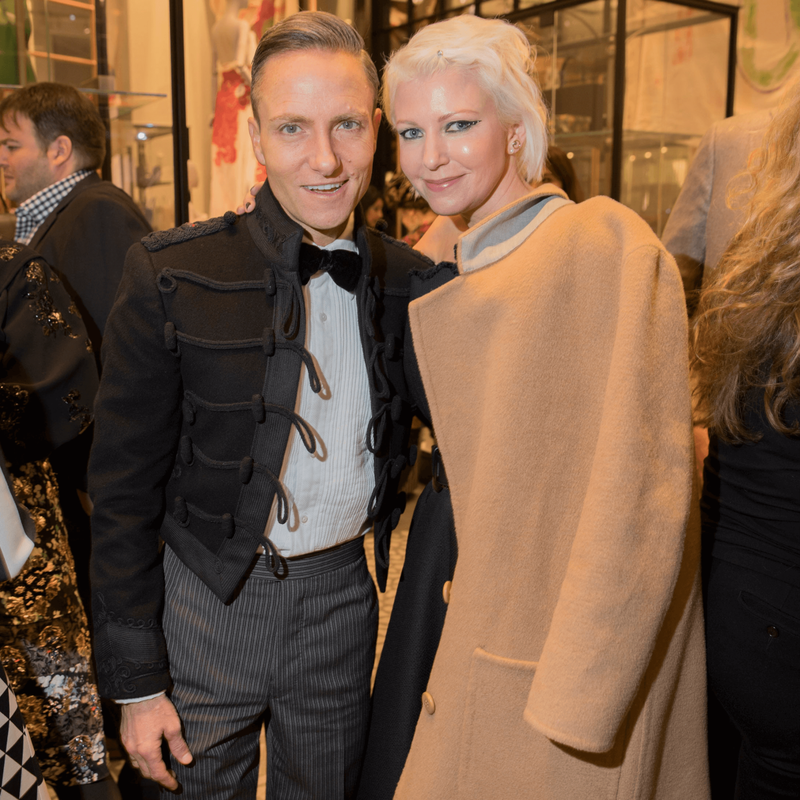 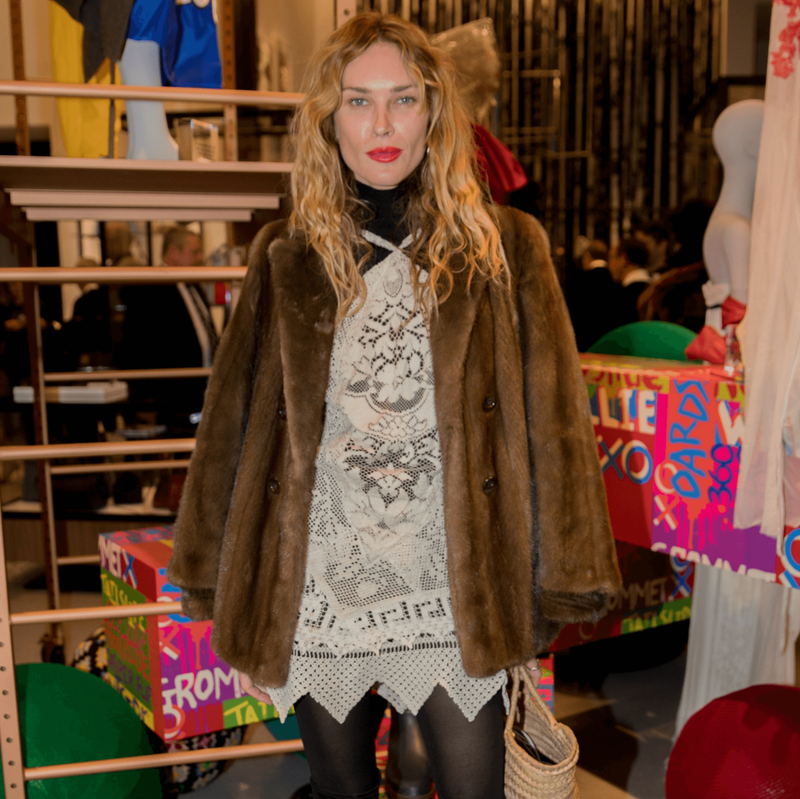 After the after party, movers and shakers shimmied down to Midnight Rambler for the Last of the Eccentrics hosted by Wasson and Farfetch, where the merrymaking continued into the wee hours of the morning.